Works great, keeps the dog out of the litter box and the smell contained to the box. Cat loves it. Perfect size too stands nice and tall and is wide enough the cat is comfortable in it. Petmate's Hooded Litter Pan combines price, appearance, & quality craftsmanship, making an ideal starter pan for your feline friend. 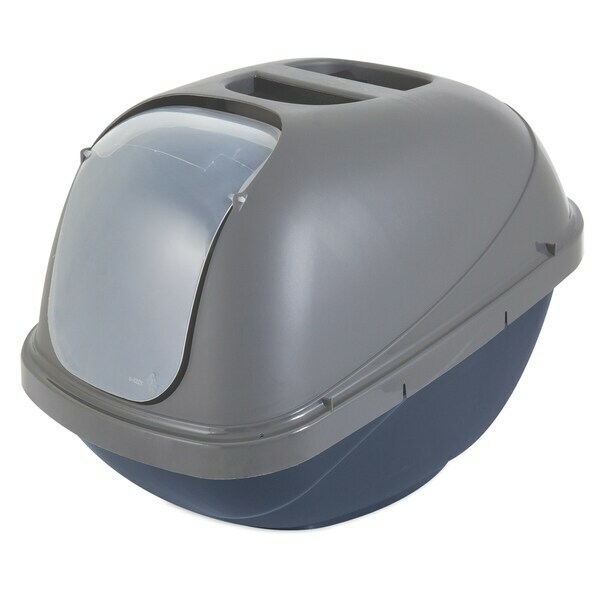 It features a secure drop rim for extra protection against spills, easy access for older or larger cats. The hood with a molded in handle & included odor-absorbing replaceable carbon filter partner together to help eliminate odors to keep your home smelling fresh. Dimensions 24.0 In. X 19.0 In. X 18.5 In.